Designed to work as hard as you do, this sleeveless performance shirt is ideal for any fitness pursuit. It offers full body coverage and generous arm openings for 360 movement. The tasc Performance Air Stretch polo keeps you comfortable both on and off the golf course, and doesn't hold you back. It has a relaxed fit with a 1.5 in. droptail hem. With great comfort and protection from the sun's harmful rays, the tasc Performance Biscayne polo shirt lets you stand out on the green for more than just your superior chipping and putting skills. Designed to transition seamlessly from the golf course to the clubhouse, the tasc Performance Carmel Pocket polo is a comfortable, tailored shirt that performs under pressure. Built for year-round comfort, the tasc Performance Carrollton Print T-shirt is a classic performance crew tee made with a soft, breathable blend of eco-conscious materials. A long-sleeve version of the shirt that launched a brand, the tasc Performance Carrollton shirt is built for year-round comfort and every wearing occasion. It feels cozy from day one. Made with a heavyweight fabric and comfort-oriented features, these tasc Performance Cross Country track pants will go the distance with a fit just right to offer support for long miles. The tasc Performance Hybrid Fitted top offers support without squeeze for a comfortable workout. Worn solo or as a first layer in cooler weather, it regulates temp to keep you cool, dry and odor-free. 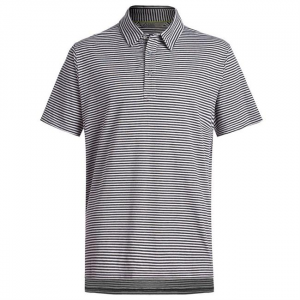 This tasc Performance Jackson Polo shirt performs on the course, around town or out on the water. 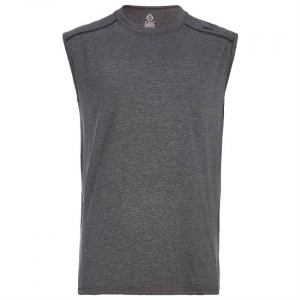 It sports slubbed raglan sleeves and a modern, self-fabric collar band. Lightweight, breathable and ultrasoft, the tasc Performance Tahoe Fleece heathered half-zip offers temp regulation without bulk. Wear it as a mid layer on the mountain or with jeans on the streets. Lightweight, breathable and ultrasoft, the tasc Performance Tahoe Fleece half-zip top offers temperature regulation without bulk. Wear it as a mid layer on the mountain or with jeans on the streets. Combining the warmth and protection of a technical vest with the comfort of your favorite sweatshirt, the Transcend fleece vest will take you from the sidewalk to the trail and back again. Offering warmth and protection from the elements, the tasc Performance Transcend Track sweatpants have textured outer fabric with a water-resistant finish to keep you dry longer. Sweat-heavy fitness has met its match with the lightweight tasc Performance Vital tank top. It offers breathability and comfort, with binding at the neck and armholes for a chafe-free workout. The long-sleeve version of the tasc Performance 365 crew shirt, this semifitted top has a scoop neck, sleeve cuffs and raw-edge hem details at the neck and waist hem.